Strengthen the partnership between the floor and WFM to meet objectives and maintain an engaged workforce. I think we can all agree that fearing for your safety is not an exceptionally strong building block for effective working relationships. While this represents the most extreme answer I ever heard to this particular question, some level of discord between WFM and the floor is not unusual. 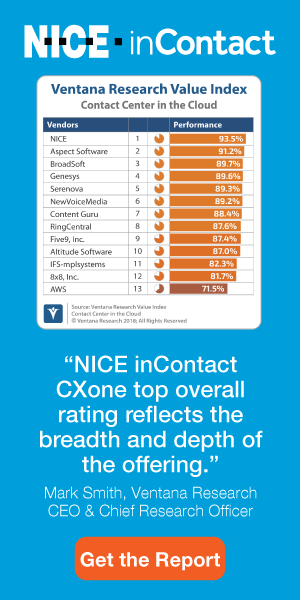 And that’s a shame, because a strong partnership across these groups is not only possible, but is essential to becoming a world-class contact center. Moving a contact center from this combative structure to a more unified management approach requires strategic role redesign along with tactical behavioral changes. It is an important and significant change, but need not be a daunting task. The “Peers with Conflicting Objectives” design rarely, if ever works. The “leader/subordinate” design, where one of these groups simply takes the lead from the other, is also likely to fail, since whoever occupies the subordinate role is unable to generate enough influence to balance the performance equation. Most often, success comes from the “client/consultant” design, with the floor as the client and WFM as the consultant. In this model, the WFM team provides guidance and education, but final decisions are up to the floor. For example, WFM may suggest reducing vacation allowances on the first business day after a long weekend, since volume is likely to be heavy. They should support their case with analysis that shows what impact the recommendations will have on performance. In the end, though, it is the floor that makes the final decision, since they own overall contact center performance (from service level through and including items like attrition and employee engagement levels). This model gives the floor the control it needs to manage all of their metrics, while allowing WFM to influence decisions based on their track record and ability to present recommendations in an informative way. Head coach/athletic team: The head coach (WFM) designs and calls the plays, but the team on the field (the floor) has the final say on execution. Air Traffic Control/Pilot: Air traffic (WFM) sets the course and monitors progress, but the pilot has significant input on approved options. Choreographer/Dance Troupe: The choreographer puts the dance together and helps make sure dancers understand the routine, and works with them to make changes when something does not work. Common to all these examples is the fact that the movement of a large group of individuals must be managed, and that can only be accomplished with a centralized control point. That fact helps staff in the center see the WFM role in a different light. Communication patterns have to reflect the client/consultant design and the organization’s recognition that meeting service level is a commitment to the customer. Some examples of improvements from the WFM team include those described in Table 1. Of course, the WFM team is not the only one guilty of questionable communication patterns. Table 2 offers some ideas on how the floor can select more appropriate wording. Yes, it may be natural to have some conflict between the floor and WFM. But that doesn’t make it right, nor does it make it good for the organization. Strengthening this partnership will go a long way toward helping you meet production and service level goals while still maintaining an engaged workforce.